Amazing Fiji Vacations - Find the Secret Spots! Want to find that idyllic spot for your Fiji vacation? Discover secluded islands, tucked away resorts and more for that magical once-in-a-lifetime experience! Come with me, I've got some truly phenomenal spots to show you. I'll take you on a journey to an exotic island nation that is unspoilt, uncrowded, and won't cost the bank. You know what's even better? I don't belong, or am I aligned with, any resort or organisation... I'm just in love with the place. Why Amazing? Actually, I could have added relaxing, magical, wonderful, heavenly, and a lot more. I'm a thirties year old male who has lived and travelled extensively (and continue to) to many countries and continents. Including holidaying in such exotic areas as the Caribbeans and Mexico, Asia in Bali, Thailand, Philippines, Malaysia, Hong Kong, Taiwan, and in the South Pacific with Tonga, Vanuatu, Hawaii, and of course Fiji. Fiji is my most favourite vacation/holiday destination. This is it... I had found paradise! 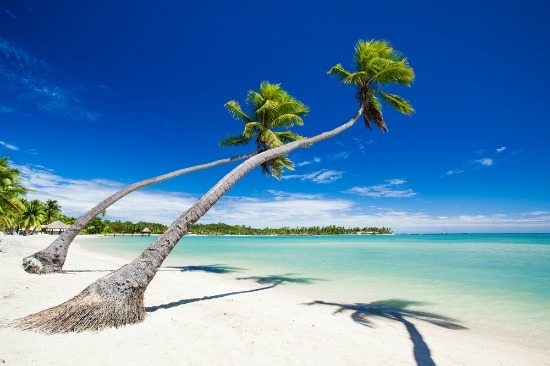 Take your time, 'Fiji time' even, and enjoy planning for your relaxing Fiji vacation/holiday. And then, you'll be talking about it for years to come! The focus throughout this comprehensive Fiji vacations site is finding tucked-away resorts in exotic locations, and then providing all the information for you need to get there! → It's aimed at people wanting a 5-day to two-week vacation/holiday in one spot with the minimum of fuss. The aim is relaxation. → Mid-range to top-end Fiji accommodation is most suitable and thus usually featured rather than budget. This means, you don't have to worry about no hot water, no electricity, safety, crowds, or loud music!